We’ve all heard about the Shambhala centers in Nova Scotia. But who ever heard of New Brunswick? On an epic bicycle adventure last summer, Shambhala Times Editor Sarah Lipton discovered the gem that is the New Brunswick sangha. Teaming up with Shambhala Times volunteer editor and regional correspondent Travis May, we are pleased to offer this small window into the rich tapestry of Shambhala in a little-known but much-celebrated province of Canada. Thanks to all the New Brunswick folks who helped us gather this information! The iron tines of truth dig deep into the rich, red soil of New Brunswick, strengthened by the autumnal overtones of red and orange that dot the otherwise pine-laden forests. The undertones of the season’s tidal change grip at us with a familiar tang: tomatoes ripen beyond their leaves’ capacity to continue greening, apples burgeon redly upon burdened branches and fruit tumbles from the trees, tides rise higher than anywhere else on earth, pumpkins smile up from dying vines, and summer’s decay sweetens the air. We begin to thirst for hot apple cider with mulling spices. It was on this kind of end-of-summer day that I bicycled over the border from Maine and happened upon this little-known Province of Canada. Beyond the blueberry barrens and nestled among slightly rolling hills covered mostly with pine and fir trees are a scattering of friendly communities. The air is tinged with salty overtones that drift in from the world’s deepest tidal basin – the Bay of Fundy. 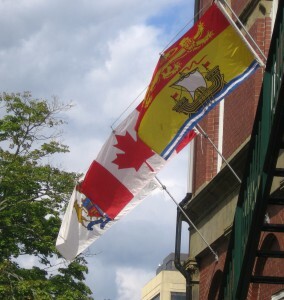 New Brunswick is a Canadian maritime province with just over 750,000 residents. 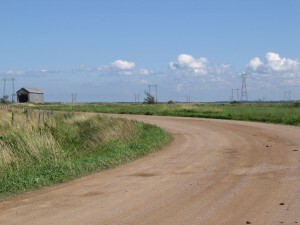 It connects to the peninsula of Nova Scotia on its northeast border and to Maine in the southwest. 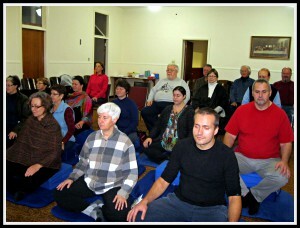 Fredericton, the capital of New Brunswick, is home to the largest sangha in New Brunswick and the only officially registered Shambhala Center. The center in Fredericton owns its own small house, on the auspiciously named Serenity Lane. 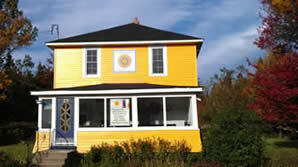 It is considered by the local Shambhala community to be a beacon of enlightened society and not too long ago was painted bright yellow for all to see in the Fredericton area. David Seabrook has recently taken on the role of director in Fredericton and is pleased to be supported by an extremely dedicated Council as well as a Practice and Education group consisting of meditation instructors, Shambhala Guides and volunteers. They have been able to offer a full array of programs for their community. Some of their biggest concerns include running out of shrine room space and exhaustion from volunteers running the programs. All of which they consider to be good problems to have! 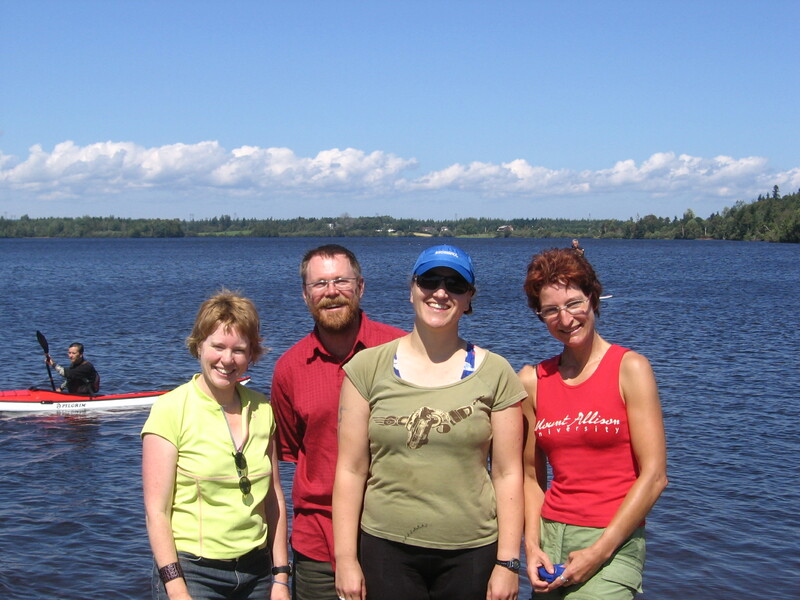 There are also several smaller Shambhala groups in the province, located in Saint John, Sackville, and Moncton. One sunny day on my bicycle journey, I auspiciously bumped into a triathlon that was occurring in the small community of Sackville, in the far northeast of New Brunswick, about a two hour bike ride west of Nova Scotia. To my great delight, I met four members of the Shambhala sangha that were participating in the triathlon, pictured here by the lake. Our spontaneous meeting spurred the idea for this article. These smaller Shambhala groups, such as the ones in Saint John, Sackville and Moncton experience some disadvantages in size. Members often have to travel to a different city to do programs beyond Shambhala Training Level II. 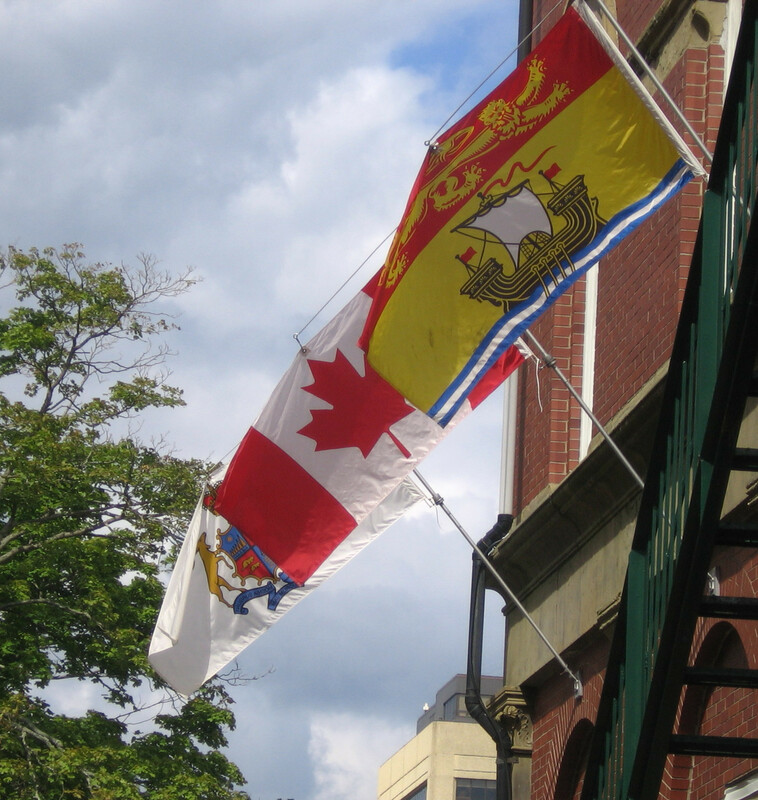 Sackville itself is only an hour drive from Dorje Denma Ling and Moncton is an hour-and-a-half away, but Saint John is quite a few hours further south. The advantage of this arrangement is that Shambhalians in the area have the chance to participate in programs with the larger sangha in New Brunswick, allowing them to connect with a wider spectrum of the community than they might otherwise have a chance to. Having a land center nearby also allows members more access to experienced meditation instructors and mentors. New Brunswick practitioners mentioned their delight in the fact that Shastri Veit Weber lives nearby. He is able to visit the different groups in the province regularly and offers cohesiveness and expertise to the blossoming of Shambhala in New Brunswick. During the Shambhala Lineage Festival last autumn, the Saint John group was delighted to host Acharya Moh Hardin. Shastri Benoit Cote led the same festivities in Moncton. 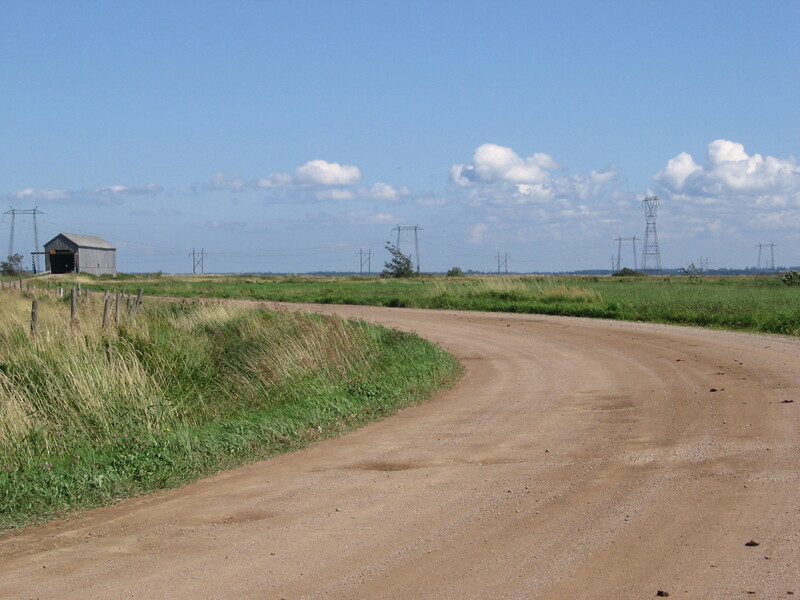 Personally, I can vouch for the deep warmth of the sangha as I too was hosted in Saint John and Sackville, delighting in the generous Shambhala accommodations, which were much needed for the tired cyclist that I was. Another recent change for New Brunswick was Moncton’s joy as they excitedly welcomed Linda Leveille to be their new Group Coordinator. Linda brings with her a great deal of experience and energy into her new role and the sangha in Moncton is grateful to have her there. Her mandate as the Group Coordinator is to continue to grow and expand the group’s resources and program offerings. The seven-year-old group in Moncton is optimistic and determined to take their sangha to the next level. So next time you are driving or cycling, hitchhiking or ferrying through or past New Brunswick, make sure to stop and say hello to our delightful Shambhala friends. Take a walk for yourself down Serenity Lane. 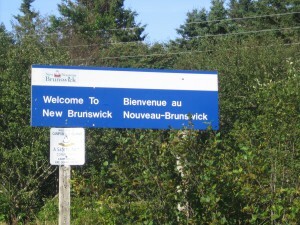 New Brunswick isn’t just “on the way” to Nova Scotia – it’s a destination in and of itself! Bravo New Brunswick Shambhalians! The secret is out! You are wonderful! Keep practicing! And Cheerful New Year of the Water Dragon! It was a pleasure! Thanks for hosting me so generously!